Where does a winchester education lead? The school is justly proud of its reputation for academic success, but a Winchester education provides more than academic results alone. We encourage boys to investigate themes, explore ideas and see connections beyond the examined syllabus. This ensures that they leave Winchester with the ability to understand and tackle the complexities and challenges which further education (not to mention life) will bring. In addition to Div, our unique non-examined subject, boys enter competitions such as the International Mathematics and Science Olympiads, in which we have a distinguished history of gold medals and representation on national teams. We maintain strong links with a wide range of British and International universities. Winchester College pupils are known by these institutions not only for their academic strength, but for their ability to converse, challenge and explore a wide variety of ideas and interests. Full boarding also prepares and fosters a willingness to participate actively in university academic, social, cultural and sporting life. 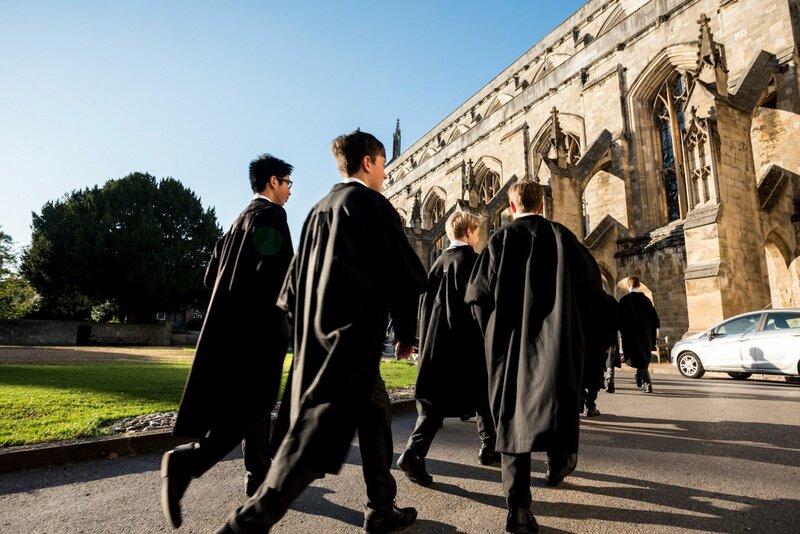 A significant number of pupils go to Oxford and Cambridge each year, and the remainder will nearly all attend a Russell Group or premier US universities, such as Brown, Chicago, Columbia, Dartmouth, Duke, Georgetown, Harvard, MIT, Princeton, UNC, UPenn and Yale. The careers department provides guidance to all pupils on course options, university choices, work experience and gap year opportunities. We also welcome many university admissions tutors from the USA and Canada, including Ivy League universities.